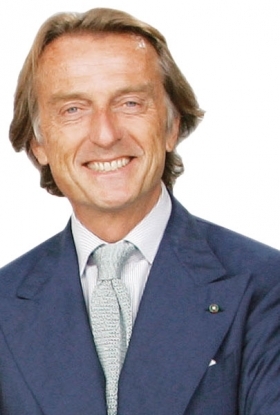 Fiat's Montezemolo: "This is a time when we have to be careful not to get indigestion." MUNICH -- Despite recent analyst speculation, Alfa Romeo is not for sale, and the United States offers the luxury brand 'very important opportunities,' said Fiat S.p.A. Chairman Luca di Montezemolo. In an interview with Reuters, Montezemolo dismissed a suggestion by analysts with asset management fund Sanford Bernstein that Volkswagen AG could be the right buyer for the money-losing brand. He also said Fiat doesn't need an Asian partnership to match recent tie-ups by European competitors with Japanese automakers. "We will present the new Alfa that substitutes the 147, and we think there are also very important opportunities for Alfa Romeo in the United States," Montezemolo said. Alfa's aging 147 hatchback will be replaced early next year by the Giulietta, a car that may be Alfa's last new model. Fiat CEO Sergio Marchionne has ordered a strategic review of the brand to consider whether to freeze substantial investments after the introduction of the Giulietta or to refresh Alfa's lineup using Chrysler Group platforms. Those platforms could be used to replace the aging Alfa 159 sedan and wagon and the discontinued 166 flagship sedan. Last year, Alfa sold 103,000 new cars, down from 203,000 in 2000. The brand has lost between 200 million and 400 million euros a year in the past 10 years, according to industry sources. Fiat does not release separate financial results for any of its brands. As for the possibility that Fiat will seek an Asian partership, Montezemolo cautions that on the heels of its 20 percent stake in Chrysler, "this is a time when we have to be careful not to get indigestion" by trying to swallow too much. Besides, Fiat's alliance with Chrysler also gives the automaker an opportunity in Eastern markets, says Montezemolo. "We will go into China with the Jeep. ... There are big synergies with Chrysler that will allow us to cover market segments we are not present in." Asian car makers have secured several deals recently with other producers. Last week, Volkswagen AG agreed to buy a 19.9 percent stake in Japan's Suzuki Motor Corp. for $2.5 billion, followed by Monday's announcement that Beijing Automotive Industry Holding Co (BAIC) has bought some Saab assets. Fiat is building a plant in China with Guangzhou Automobile, China's sixth-largest auto producer and has a joint venture with India's Tata Motors.